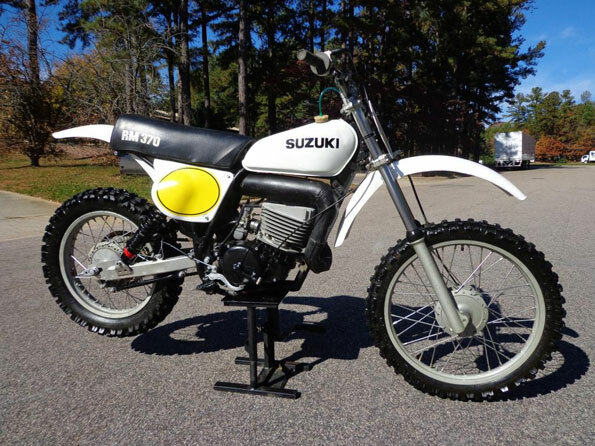 We are excited to offer this very nice 1976 Suzuki RM370 AHRMA Post Vintage MX bike. The bike was bought out of a racers collection in Michigan. The bike is just that a race bike. It’s not one of our full cosmetic resto’s – we bought it as it sits – yes there may still be some dirt on it. We are trying to turn it around and make $300 dollars. Very reasonable reserve – you couldn’t build it for anywhere near this kind of money. White plastic / tank. Nearly new tires. Completely rebuilt motor – lower end and top end. Aftermarket swingarm. New Progressive shocks. New stainless steel spokes. Wide foot pegs. Aluminum bars. New Levers / perches / grips. New gold series chain. New seat cover. Ready to go to the gate!! Runs and shifts perfect!! We have numerous vintage MX bikes listed!! 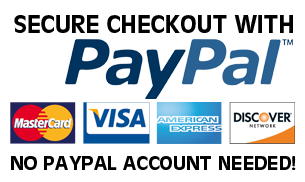 Take a look at our other auctions! !